Hot Air Balloon Cairns offers a unique experience to see Tropical North Queensland from above. There are 30 & 60 minute flight options available which depart from Cairns. 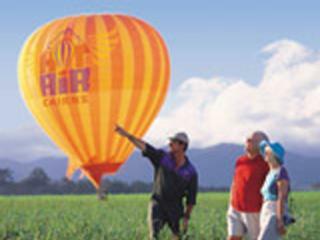 Discover the Atherton Tablelands with an experienced crew that will ensure that you have a memorable ballooning experience. This may well be the highlight of your North Queensland holiday.